KiwiCo is a subscription box plan which fosters creativity and curiosity in hands-on projects for children ages 5-8. 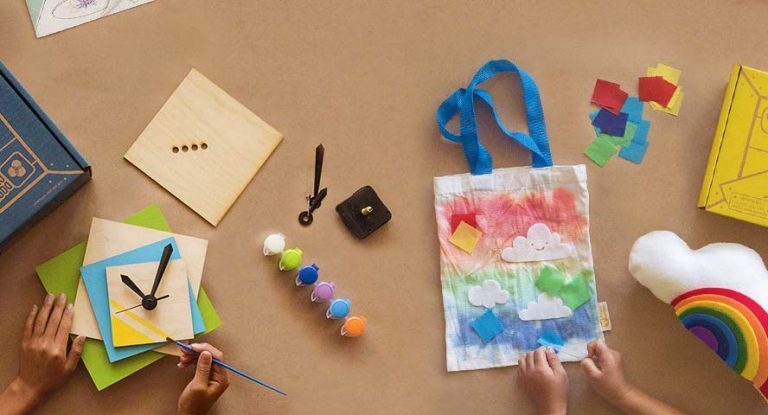 They are designed to be fun and easy while building, exploring, and creating. 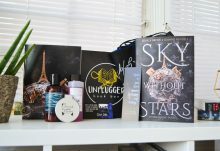 For our shipment, we received the Kiwi Crate My Glowing Snow Globes Crate. The Kiwi Crate My Glowing Snow Globes Crate is rated high for messiness, medium for grownup involvement, and the only supply needed to supplement the kit is water! Our tester had been eagerly anticipating this project and was very excited to get started. 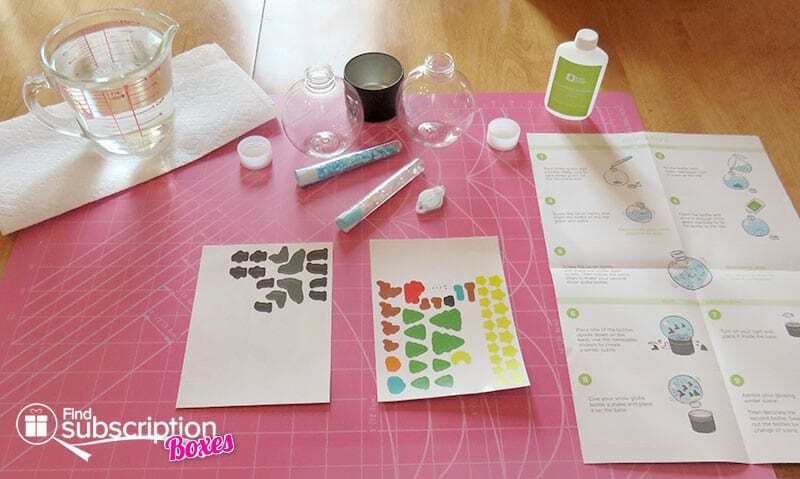 After opening the box, our tester found two round bottles with caps–those will become the snow globes; snow globe stabilizer, aka glycerin; two vials of glitter; two sheets of removable stickers; one light fob; and one globe base. Grownups will have to provide approximately two cups of water, and a few paper towels. The instruction sheet is also provided, and the step-by-step instructions were very simple to understand. Our tester was very excited to get started, and he wanted to make both snow globes at once. 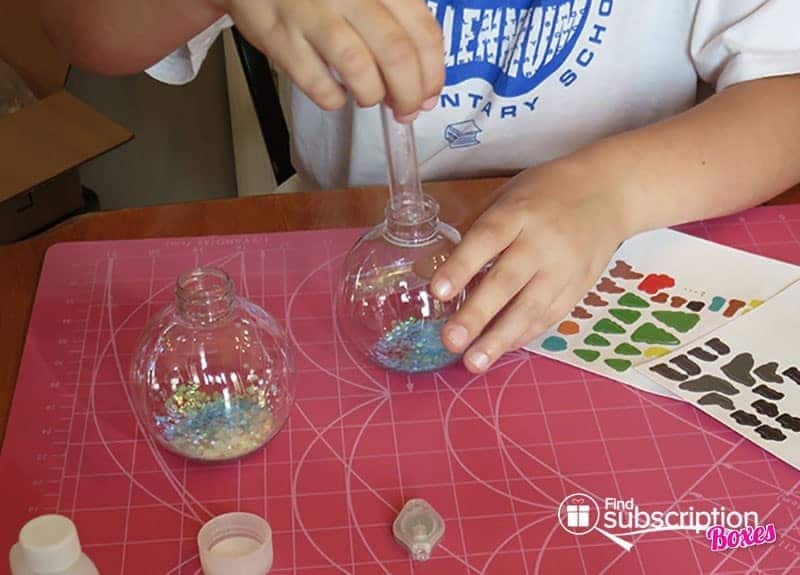 First he put half of each vial of glitter in each globe—half of the iridescent and half of the blue go in each globe. Fill globes with water, leaving an inch of room at the top—this job is neater if done by a grownup, it really depends on the age and ability of the child if help is needed. 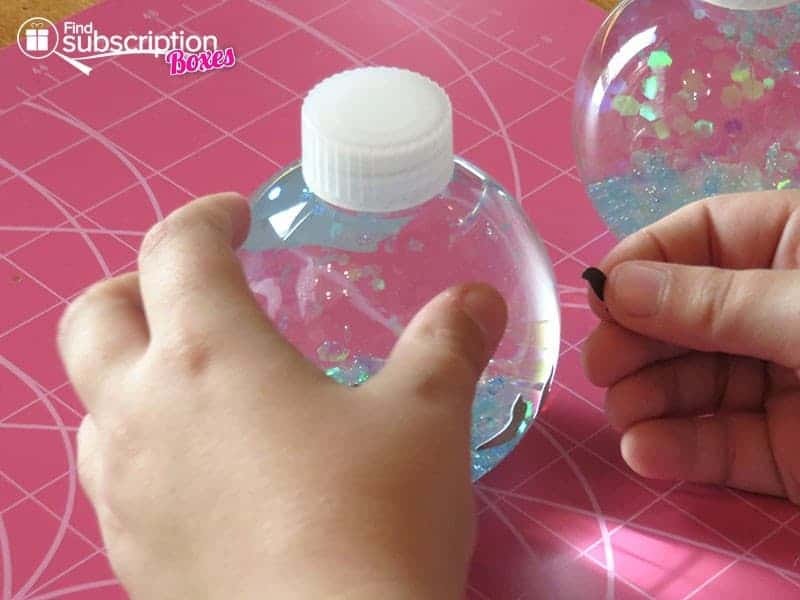 Put the lids on and shake each bottle to mix the water and glitter. 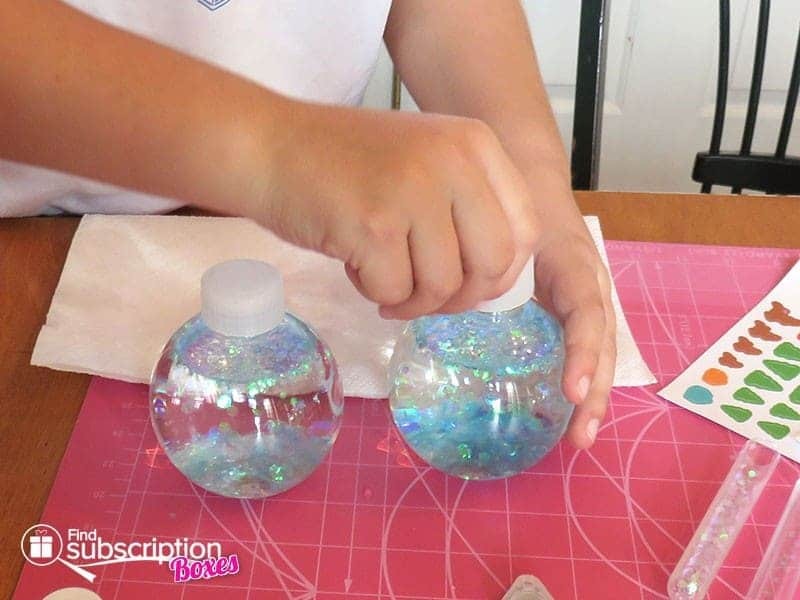 Unscrew the caps and fill each globe to the top with the snow globe stabilizer—one-half of the bottle for each globe. Put the caps back on tightly and shake. The interior of the snow globe is finished. Place one of the bottles on the base and decorate. Our tester decided to be very creative and use all the stickers from the wintry sheet on one globe and all the Christmassy stickers from the other sheet on the second globe. There’s no right or wrong way to decorate the exterior. Our tester had started putting the stickers on upside down. Fortunately, the stickers are removable and repositionable, so it was an easy fix. No grownup help was needed for the stickers, but that could vary depending on the child’s age and dexterity. After all the stickers were placed, the exterior of the snow globe was done. At this point, one can shake and enjoy the snow globes. 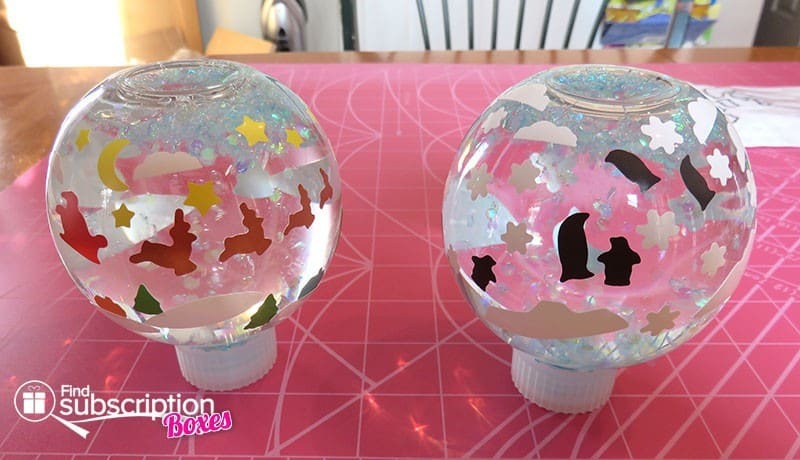 But to enhance the snow globe experience, turn the light fob on and place in the base, shake one globe and place on the base, and it will be aglow. Swap out the bottles for more fun. It’s easy to store the globes since the snow globe bottle is designed with a flat top—it won’t roll over. And, when the bottles are displayed on the cap end, the caps are flat and sturdy to support the snow globes. 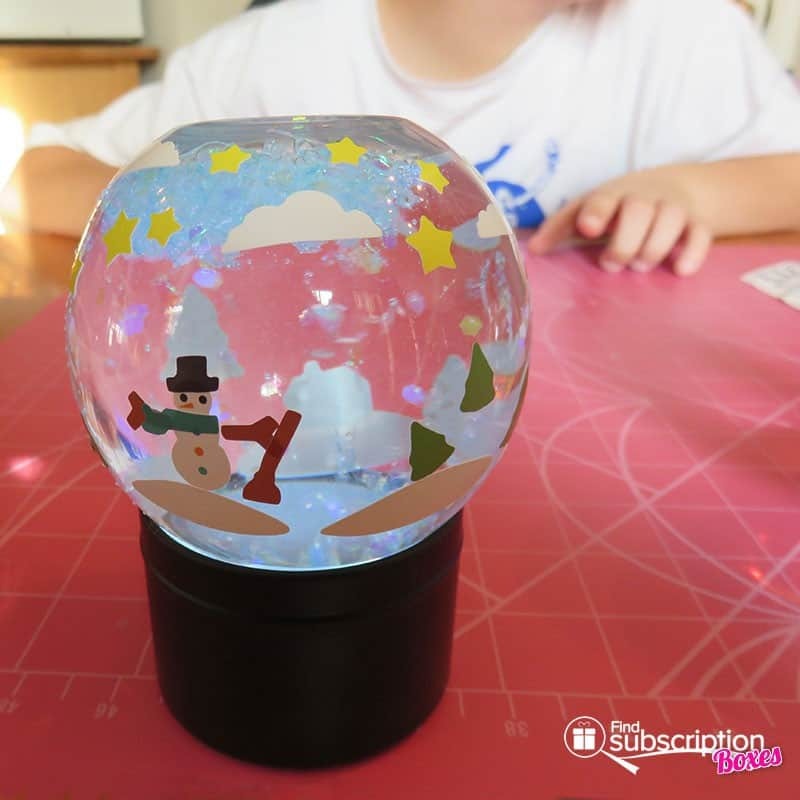 Placing a snow globe on the base gives it a finished look and prevents it from rolling if it were jostled. 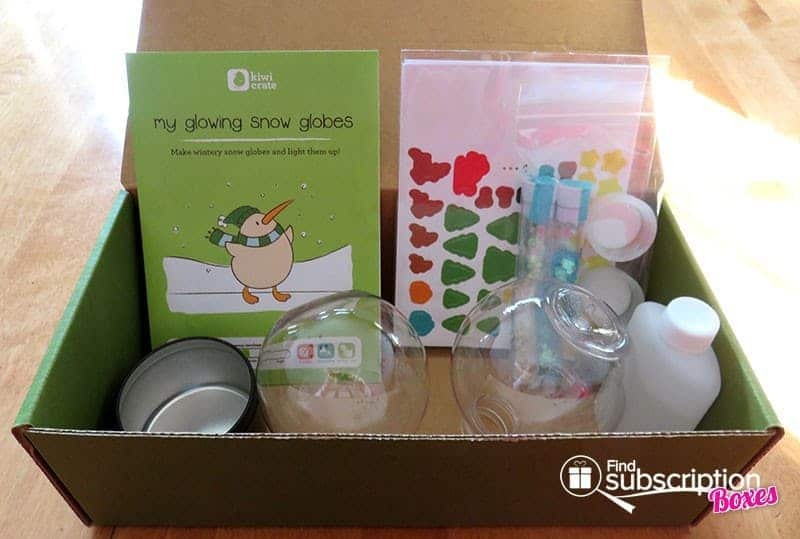 For more Holiday Crates like the Kiwi Crate My Glowing Snow Globes Crate and fun holiday themed crafts for kids, visit the Kiwi Crate Holiday Shop. For a limited time, save 50% off all Kiwi Crate Shop purchase when you use Kiwi Crate coupon code SHOP50 at checkout.